Import encrypted backup to the Veeam Backup & Replication console. 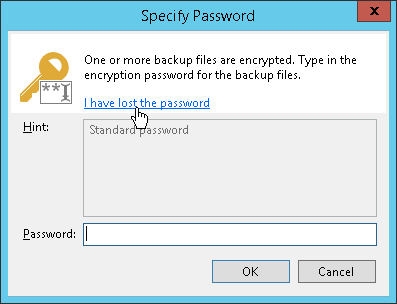 Select the imported backup and click Specify Password on the ribbon or right-click the backup and select Specify password. 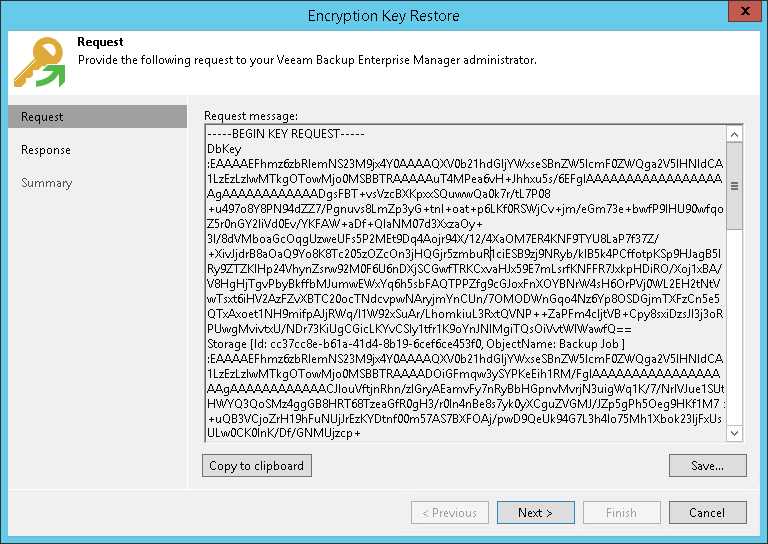 You can close the Encryption Key Restore wizard on the backup server and start it anew when you receive a response from the Veeam Backup Enterprise Manager Administrator.